Easy, right? But as I started to explain my answer, I realized how vague my response was. How would you know whether you should be self-published in the first place? Why wouldn’t you pursue traditional publishing first? Which company would be best? Would it depend on the genre you wrote in? How would you market your materials? All of these questions swirled in my head, until finally I gave up my explanation, and said I would get back to him. I felt inspired to create a series of interviews with self-published authors from these questions, and to create a resource for those interested in self-publishing, those in a marketing rut, and people wondering what the true day-to-day lives of self-published authors are like. The following is the first in a series of interviews, which will hopefully begin a dialogue on self-publishing, and create a resource for those interested in self-publishing to use by creating a network of known self-published authors interested in talking about their trade! Jesse L. Byers is an author by night. By day, he works in billing and finance for a Fortune 500 company, but his journey to this point in his life, where he “prefers to keep a low profile, maintain his library, and do what many others should do– live each day to the fullest,” has not been easy. Born in Norfolk, Virginia, he grew up poor, living in low income housing and attending inner city schools. In his teens, he relocated to Los Angeles, where he held a variety of retail jobs before becoming an ordained minister, “like so many other mail-order screwballs” and finally began publishing his novels. He dabbled in politics, volunteered on local and presidential campaigns and even ran for office himself. Today he resides in the suburbs of Los Angeles and has left religion, writing and politics in the past. He was gracious enough to be interviewed on a variety of topics relating to self-publishing! Q: When you began the process of writing your book, had you ever heard of self-publishing? A: My first book, Broken World, was written well before the advent of resources like Infinity or Amazon KDP. I tried traditional publishing and watched the rejection letters stack up. I knew of vanity presses but they were very expensive at the time. I began to consider self-publishing as an option because seeing my book in print was important to me; it was a goal and a dream. As I began to research vanity presses I came across iUniverse, Infinity, etc., and they started to become a more viable option for self-publishing than had previously been available. I made use of iUniverse for Broken World and moved to Infinity for cost and efficiency when I wrote its sequel Road to Calvary and my third book, The Thin Green Line. 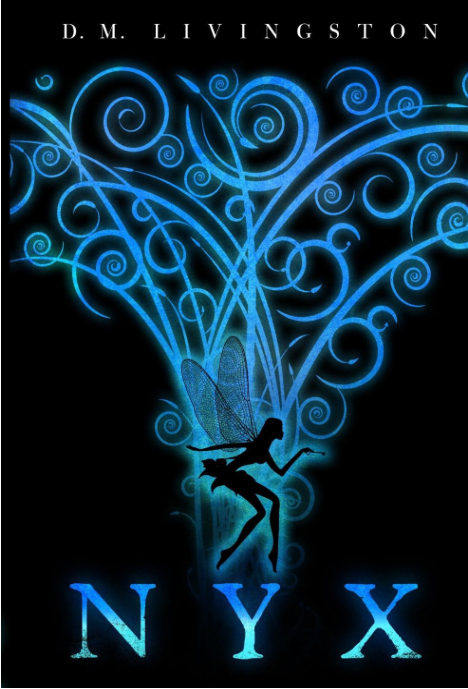 Q: What are the benefits of self-publishing in your life, how do you make it work for you? A: The main benefit for me is the freedom and control. With my work I get to tell the story the way I want to tell it, decide the look of the book and how it’s presented to people. I know editors are there for a reason; sometimes you need someone to say “no” but for that isn’t an issue. I’ve no notions of becoming wealthy off these books, I’m not laboring under an illusion that I can make this a career and therefore need the guiding hand of an expert. Very few writers can achieve that. Writing is something I love. Seeing my book in print is a success in and of itself. So to have complete control over that process, from first words on the page to final print edition in hand, it’s a rewarding and fulfilling experience. Q: What is the greatest struggle you find as a self-published author? A: Getting noticed. As I said, I don’t expect to become wealthy but I still want to sell books. I want people to notice me and my work and read my stories. It’s a big world out there and there are ads everywhere you look. Everywhere, someone is advertising something and the proliferation of self-published authors makes it easier still to get lost in that mix. That’s not a bad thing, the more written works available to people the better. But managing to get people to notice your work in a sea of millions is exceedingly difficult. Q: How do you overcome the struggle? Q:Did you work with a paid editor? If not, what were the most successful techniques you found to edit something so personal to you? Q:What about the book cover? Did you take the picture yourself or work with a graphic designer? A: As I’ve said, I value complete control over the process. The covers to all three books were conceived by myself. The basic concept was my own design and the professionals supplied by the press did the actual work. The exception would be my second book, Road to Calvary. The cover was a photo I took and manipulated. It’s somewhat simplistic but it was intended to be. A: In all three cases it was supplied as part of the process by the press. It speaks to the ease of the process available to authors like myself these days that we don’t have to hassle with minutia such as this. We can remain focused on the more creative aspect of the process. Q: Do you have more e-Book or hard copy sales? A: e-Book, definitely. My most recent book, The Thin Green Line, was published initially only in trade paperback and after judging the response to it I chose to make an ebook version available as well. It was a wise decision. The downloads are more than triple that of the hard copy sales. The royalties are higher off ebooks and I think people are more willing to take a chance on a book when its available at a lower cost. Thin Green Line retails in trade for $13.95 and $3.95 in ebook. If you spend $14 on something and its awful, you’re going to be upset and feel cheated. So maybe this unknown quantity isn’t worth your time or money to take that chance. But $4? The morning coffee at Starbucks costs more than that. You can probably take that chance without feeling its too much of a risk. I know I’ve sold my book because its available in ebook form when it might not be moving at all if it were only in trade. Q: What is the most rewarding element of self-publishing? A: Seeing my book in print. A writer writes because they have something to say, a story to tell. You sit down and you spill your heart and soul onto the page and breathe life into the characters and create a world and tell these stories. Then you have them bound and available for people to read and enjoy. Or hate. Or just feel a big blah towards them. Doesn’t matter. They still see it, they read it. Something you worked so hard to create has been experienced by someone else. Writers today are extremely lucky and blessed that they have the plethora of self publishing options available to them now. When you consider the untold numbers of people over the years who may have written stories and never seen them published or just dumped them in a drawer to rot or just never got the chance to tell their stories, it’s an unspeakable tragedy those people never had the options available to us today. Q: How do you market and brand your stories? that, tweet and retweet, your name is out there and suddenly you have the notice of hundreds if not thousands of people who might just retweet you and so on and so on. It all points to your name, your Facebook, your website and ultimately your book. Beyond the time invested in tweeting and updating the website or Facebook page, there’s no money expended and you’ve got free advertising. 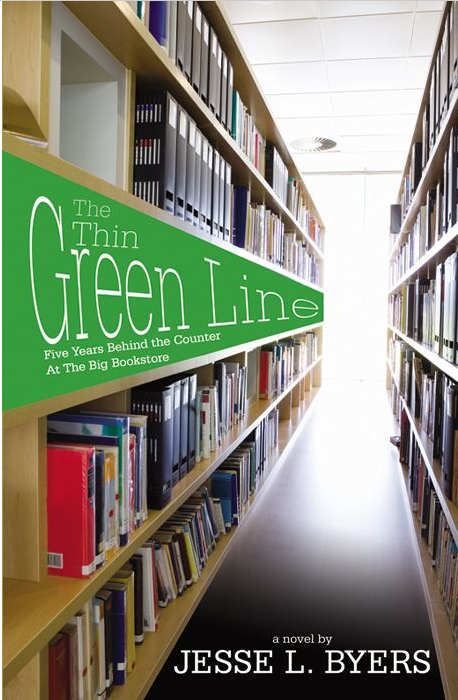 The majority of sales on my third book, The Thin Green Line, came by way of Twitter. Q: Do you ever go on book tours? A: No. I’m just not that big. If somehow my books went crazy and I started selling enough to make the money to justify such a thing I would of course but it’s not even on the horizon. Q: Did you publish through Amazon? Q: How did you decide to price your book? A: There are pricing ranges suggested by the press. Final choice is yours so you have to consider certain things carefully. You look at other works of similar genre, length and you work from there. You also consider the fact that if you’re using a self publishing method you’re likely to be an unknown quantity so you want to price your work accordingly. You and your mother might think your work is priceless but the average reader who has never heard of you might only be willing to pay $5. Q: Did you work with a company to self-publish your book? A: iUniverse for the first book, Infinity for the next two. A: Frankly, a little more respect and recognition by more mainstream outlets. I know that’s a tall order but if self published “indie” authors could be recognized as real talents there might be more options available to them. Look at it this way: if a musical act rents a studio and cuts an album, they’re considered an Indie Band and acknowledged for their artistic talent and creativity, unhindered by the suits a a label. Likewise, a filmwriter or director cobbles together some rusted cameras and makes a low-budget movie and they’re hailed as an Indie Darling and lauded for their artistic integrity. Somehow, when a writer uses a service like Amazon or Infinity or other self publishing method, they’re considered a hack telling a poorly written story nobody wants to read. But no one wanted to hear that band until they made their own album. Nobody wanted to see that movie until that director made it himself. Indie talent is rewarded in other fields but scoffed at when it comes to writers. I worked in a bookstore for five years. Every book in there from a big commercial publishing house was chosen because someone thought it was good enough to be a seller. Not all of them are. Not many, in fact. A great many of them are considered awful, unreadable. Yet they got published in the traditional way. And yet there are many self or indie published books that are magnificent reads, wonderful stories and great works of literature. They may have been rejected numerous times by traditional publishing houses. Sometimes, the pros are wrong. If mainstream media or print recognized that and began to cover indie authors more then there might be better recognition for them. More outlets might arise for them. Publications or web sites may spring up devoted only to finding and promoting the indie/self published authors of the world. They might begin to sell better and things like editorial services and marketing services might become more affordable. In the end the more unpolished indie authors might be able to take advantage of these options and become better and the really good ones out there could become better still.